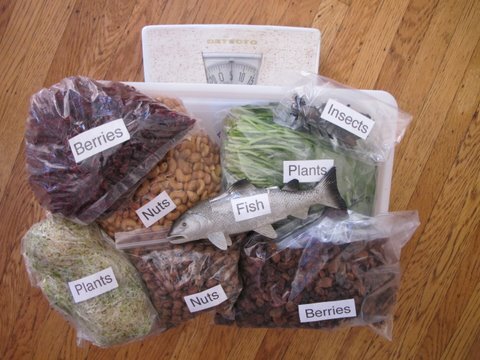 Students see the foods that a black bear eats, and weigh it on a scale to compare to how much we eat. Look at the foods that a black bear eats, and unnatural foods that they should not eat. Draw one of the foods they eat on the worksheet. If time, look at a bear skull to see the kinds of teeth they have.